Anantara Siam Bangkok hotel has partnered up with Winnow to understand, manage and reduce its food waste. In less than 6 months they have already reduced its waste dramatically, serving as an inspiration to the entire sector in Thailand. According to the UNFAO, on average 11 kg of food per capita is wasted in developing Asian countries, every year. Although food waste has increasingly become a popular subject in the international agenda, tackling it is a huge challenge to most Asian countries. The issue can be particularly challenging for nations with booming tourism, such as Thailand. 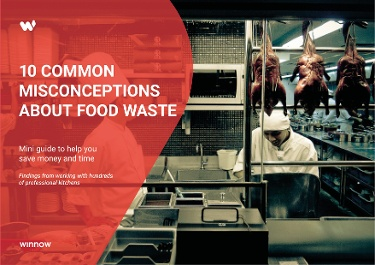 Hotel buffets are one of the top generators of food waste in Asia’s hospitality industry. Sustainability is very important for Anantara Siam Bangkok. The hotel brought Winnow on board in February 2017 to help the team reduce its waste while increasing the kitchen’s efficiency and contributing to the environment at the same time. With the help of Winnow’s detailed reports, the chefs were able to learn about guests’ food preferences. The team redesigned their food stations based on these insights to draw guests to the most popular dishes. This allowed the team to reduce overproduction in less popular areas whilst still presenting an attractive offer to guests. Since Anantara Siam Bangkok started using Winnow, they have dramatically reduced food waste, which has led to an annual saving of USD $14,200 (THB 475,800). This reduction represents the equivalent of preventing 1.6 tons of food from ending up in the landfills every year. Also, it is the equivalent of saving 300 plated meals every month.